At this time of year, Christmas outdoor advertising is often the number one priority for businesses, with big brands investing heavily to ensure their promotions are captivating. However, there are effective solutions for small medium sized business owners. ‘On location’ advertising is a vital component of a sales and marketing strategy. Outdoor advertising reaches the widest possible audience in the public domain. Outdoor advertising is not intrusive as to the digital marketing form. 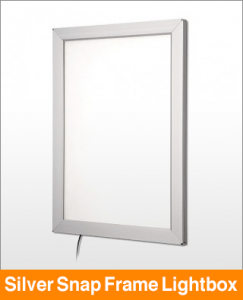 Large format outdoor advertising can stop traffic and the passer-by. Compete with big brands by placing outdoor advertising in your forecourt and time your Christmas deal to stay ahead of the game. An outdoor pavement board or poster sign gives your business the same opportunity as big brands to reach both existing and new audiences over the holiday season. 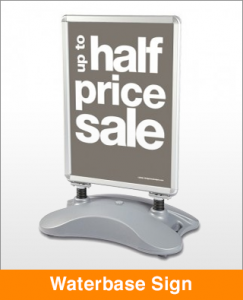 Pavement and forecourt signs are two of the most powerful forms of outdoor advertising; it enables your business to reach shoppers at a distance. Raising awareness of your brand or product when a consumer is on the pavement gives you a powerful opportunity to persuade and drive decision making. A poster frame placed on your shop window will take advantage of the increased traffic at Christmas and the winter season directing consumers towards your products and services. Banners and projecting signs can be positioned above your shop front as it enables your business to reach shoppers at a distance. With the Christmas season deals starting earlier and earlier each year, planning ahead will help your business beat the big brands at their game. Plan your promotions before the holiday season by defining your message, making your content highly visual. If your restaurant or coffee shop is family-oriented, it is important to reach families or young people with group promotions. Small Medium Sized businesses that get ahead of the big brands at Christmas do it by selecting the best print media and marketing message. The earlier your business plans its Christmas campaign, the more consumers will remember and likely to pick your coffee shop to sip a hot drink. Placing an A-frame pavement board outside your restaurant will provide another way of gaining visibility. 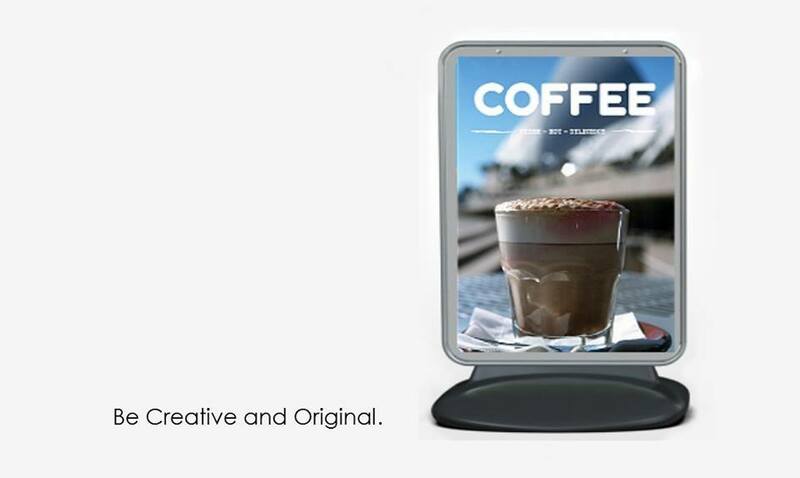 Find your best outdoor advertising solution from our website, or contact us for more advice about the best print media solution for your Christmas campaign. This entry was posted in Tactics and tagged advertising, Christmas, pavement board. Bookmark the permalink.